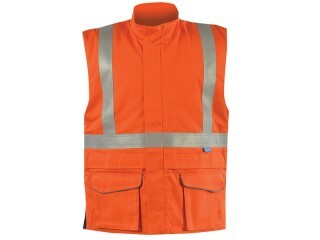 At Bodyguard Workwear we offer an exclusive range of hi vis workwear bodywarmers, hi vis softshell bodywarmer, hi vis gilet workwear orange, hi vis waterproof body warmers that are perfect for providing extra warmth during those chillier days and nights, and which provide the right degree of visibility when working on site. 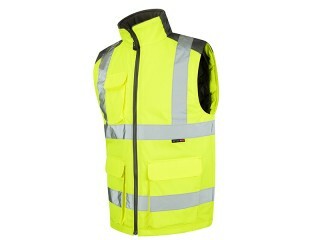 Are you asking yourself the question “why should I wear a Dewalt safety workwear bodywarmer instead of a jacket or bomber jacket?” Well, with the sleeves missing, you’re able to keep your torso warm, whilst retaining your free arm movement, which is beneficial in several industries. 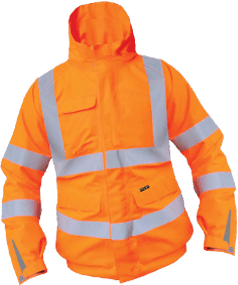 Safety workwear bodywarmers have thermal padded insulation for wearers comfort and warmth with reinforced stitching to the hi-vis to maintain strong visibility. Workwear bodywarmers, hi vis fleece lined bodywarmer, Snickers bodywarmers, Screwfix hi vis bodywarmer, Dickies bodywarmers and Scruffs bodywarmers all come with that essential hi-visibility and are available in a range of colours such as fluorescent yellow and orange bodywarmers, and in a range of different sizes, so your safety bodywarmer is always keeping you safe, warm and providing that freedom to move easily and, therefore, enabling you to complete your tasks efficiently, effectively and, most important, safely. 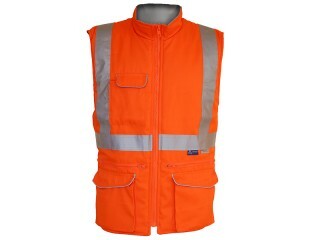 Why not take a few moments to browse our range of high visibility bodywarmers as part of our orange hi vis workwear range here online at Bodyguard Safety Workwear and make your selection based on the best fit for your industry requirements. Our expert team will be delighted to assist you further.